This has quickly become one of the most popular ground covers for shady areas. Plants form a spreading clump of small green leaves, whorled like spokes of a bicycle around the stem. Clusters of tiny white flowers make a pretty display in spring. In a moist site this spreads steadily to form a thick carpet. Although nearly evergreen in mild winter regions, the old foliage should be trimmed off in late winter. 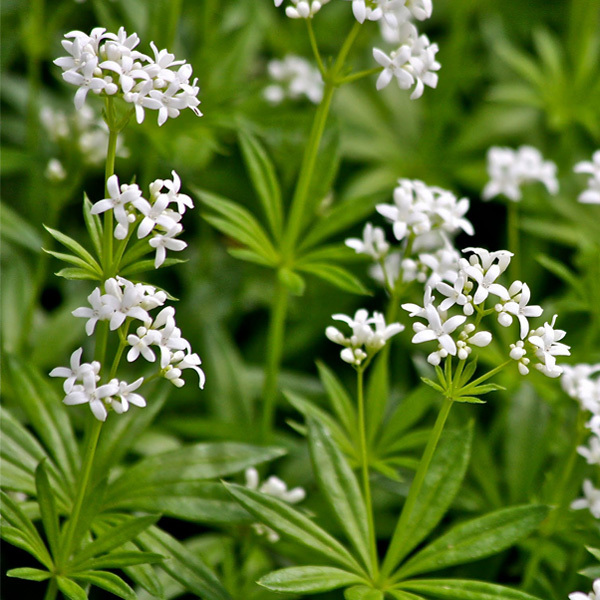 Great with spring bulbs of all kinds, Sweet Woodruff will help to disguise that ugly bulb foliage when it begins to die back in late spring. Easily divided at almost any time.